We design unique group travel itineraries catered to your group's focus, women's studies, special interest groups, alumni travel, and trips for clubs and organizations. We are able to accommodate groups large and small. 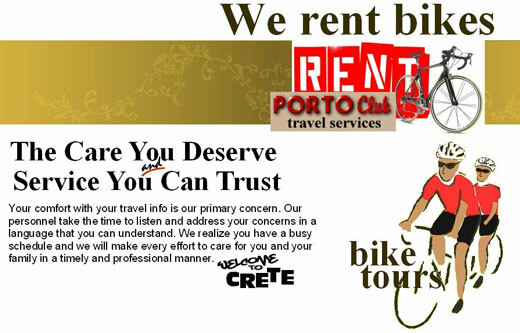 ...Here is where you leave the present daily pressure behind and enjoy the pleasure of a good company, CYCLING, healthy Mediterranean nutrition as well delicaties, pure un bottled home made wine, tsikoudia and drought retsina wine.